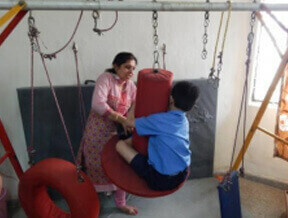 The Occupational Therapy Department is equipped to provide needful therapeutic intervention to the students who need sensory integration, stimulation, perception and cognition, improving posture, motor skills both gross and fine. 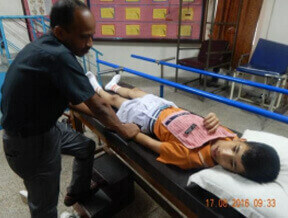 Aids and appliances are made on order for special children with specific needs. Special Wing has two Speech Therapy units, one is based on one to one session programmed on software Dr. Speech and another unit is based on developing social skills, community level communication and language development which is based on group speech trainer. 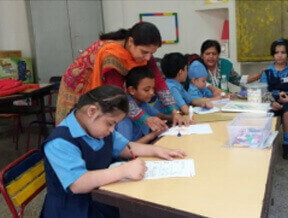 There is a dedicated hall for the children of Special Wing for various activities/functions. Students actively participate and enjoy Music, Dance and other activities in the Hall. Any student who is feeling unwell during school hours must report to sick bay. The sick bay is equipped with first aid facilities and a doctor is available during school hours.